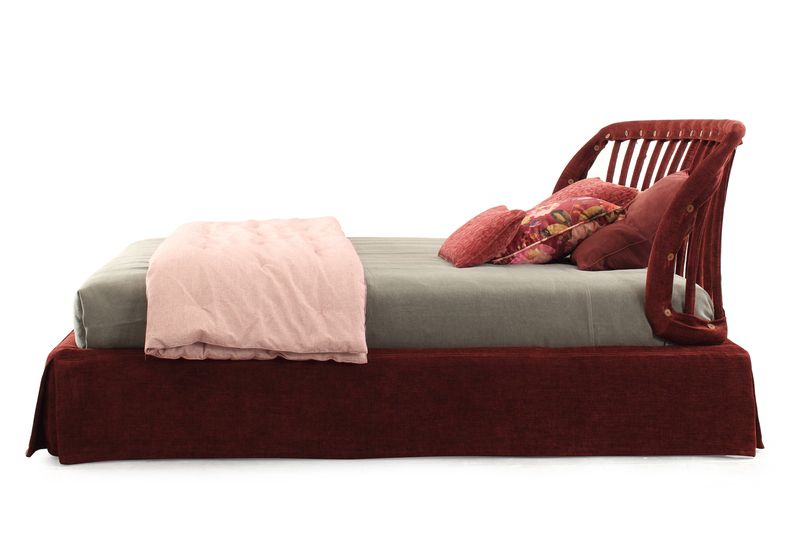 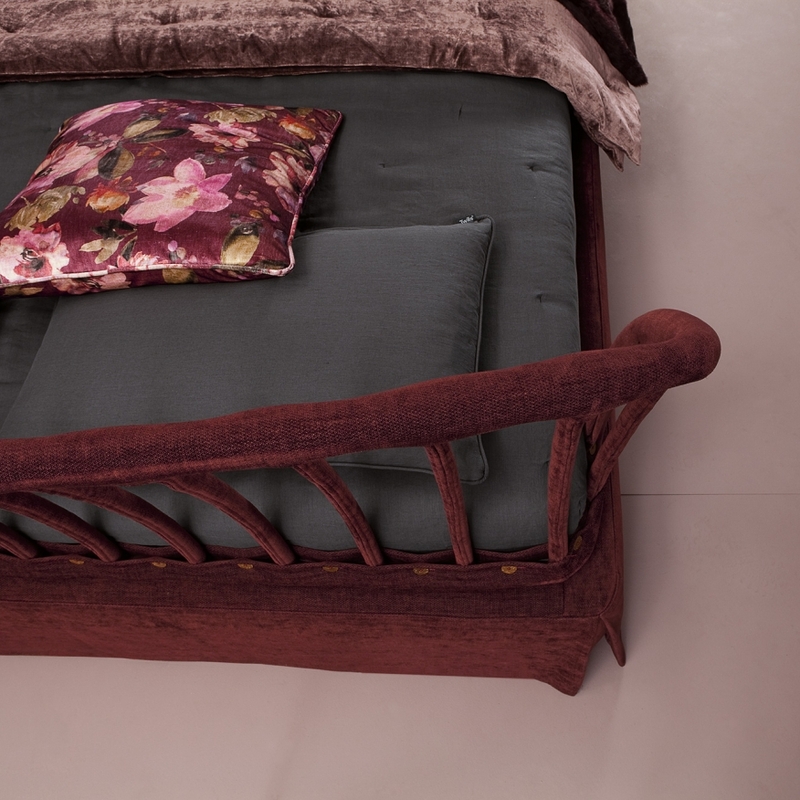 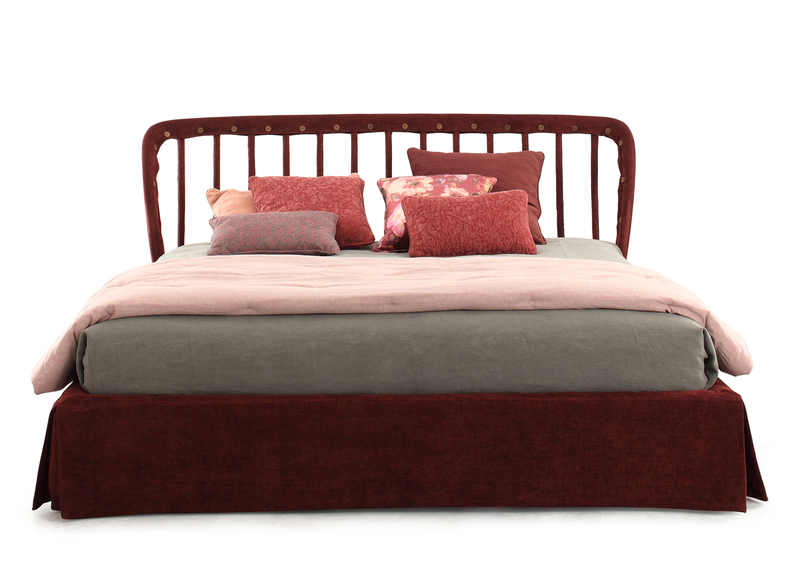 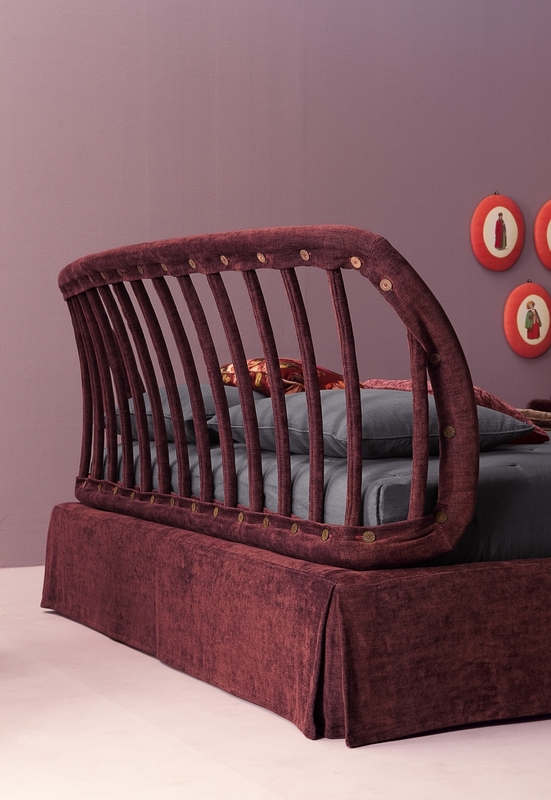 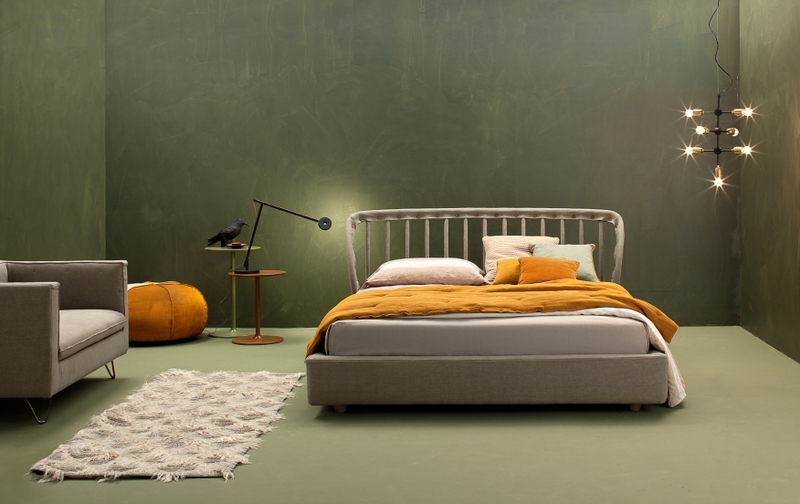 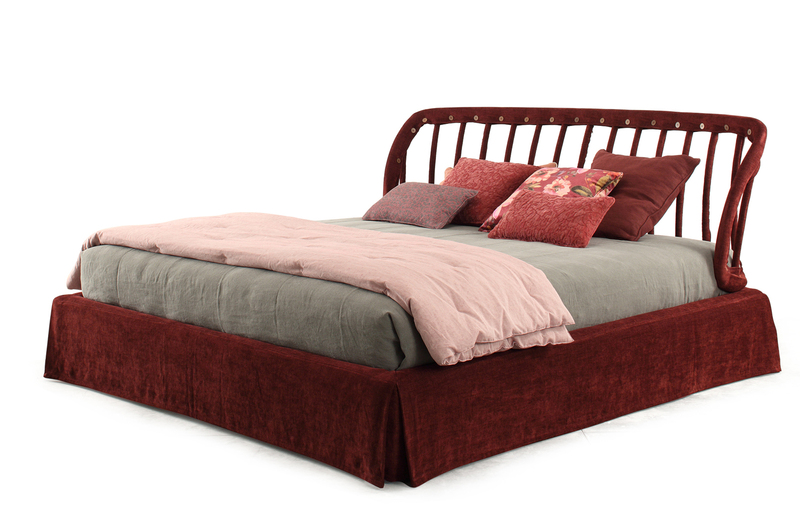 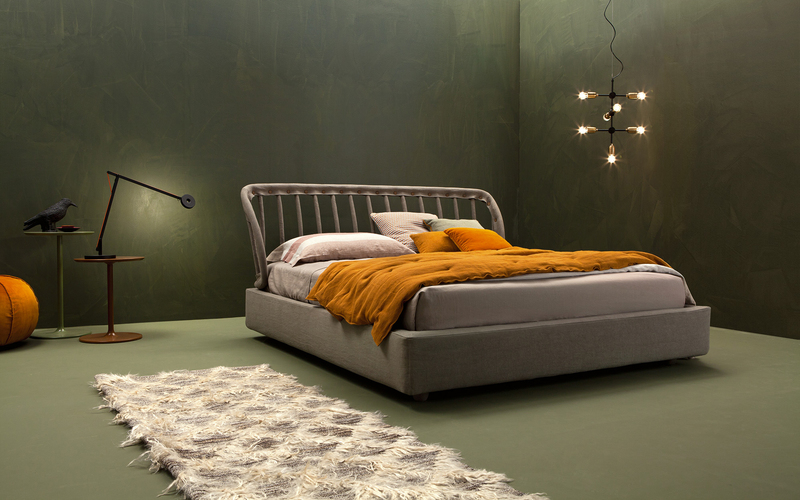 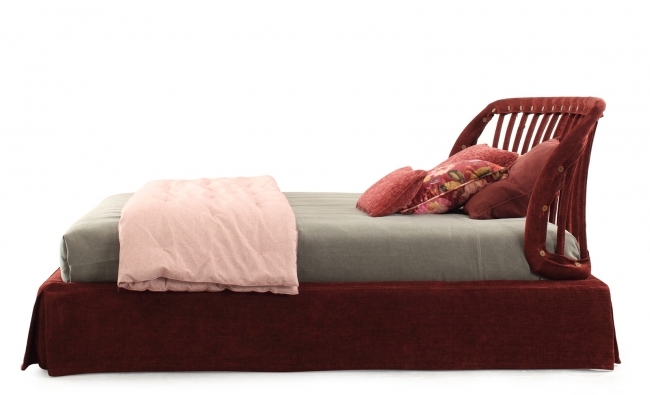 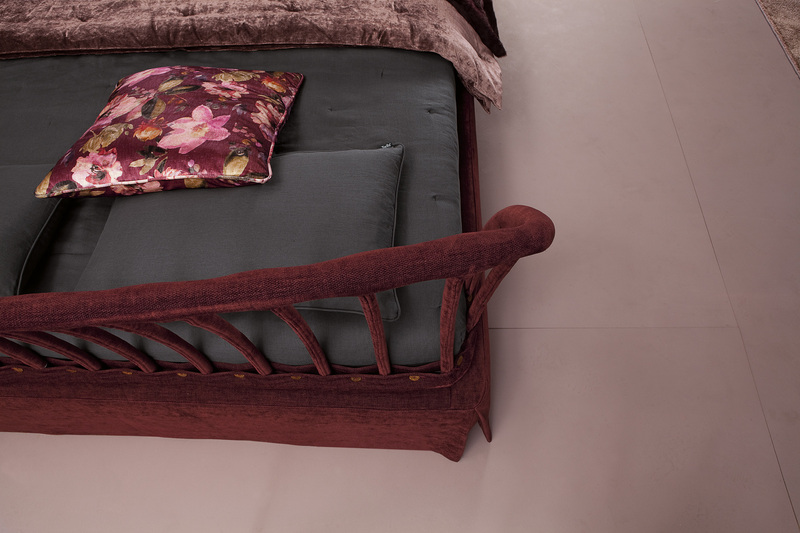 Open Air was born with the requirement to redesign an obsolete bed in wrought-iron bed. 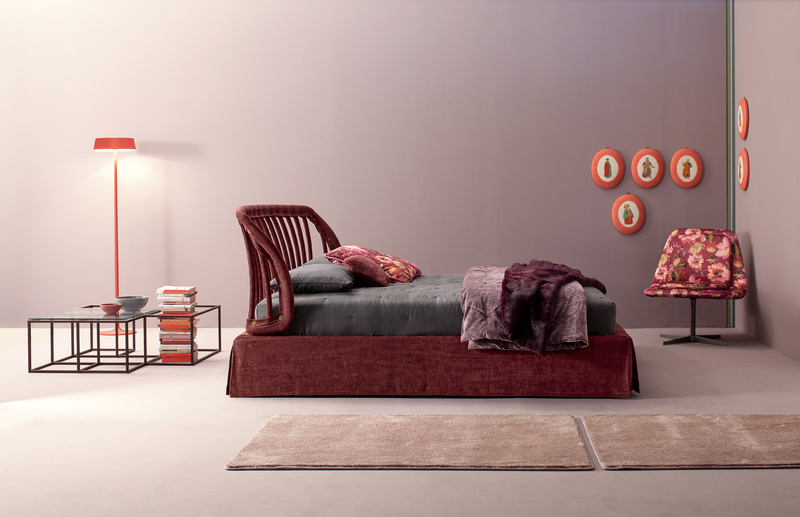 The aim was to make modern and more Twil-styled bed which would have a stylized headboard, much more light visually and innovative and decorative at the same time. 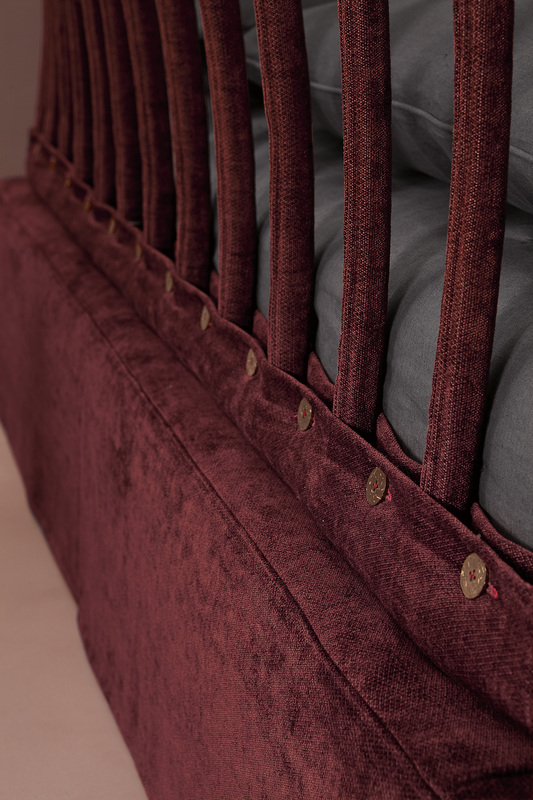 The special treatment and use of textiles lays in the heart of Twils, which connects the know-how and history of the company to that of the products, that otherwise would become out of context and uninteresting objects. 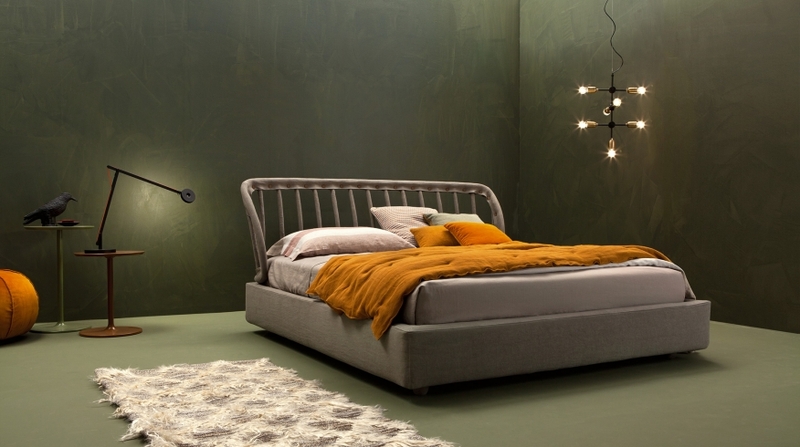 The name-Open Air-leaves free the imagination, becoming a balance between the solid and void elements, recreated by the intersecting structural elements. 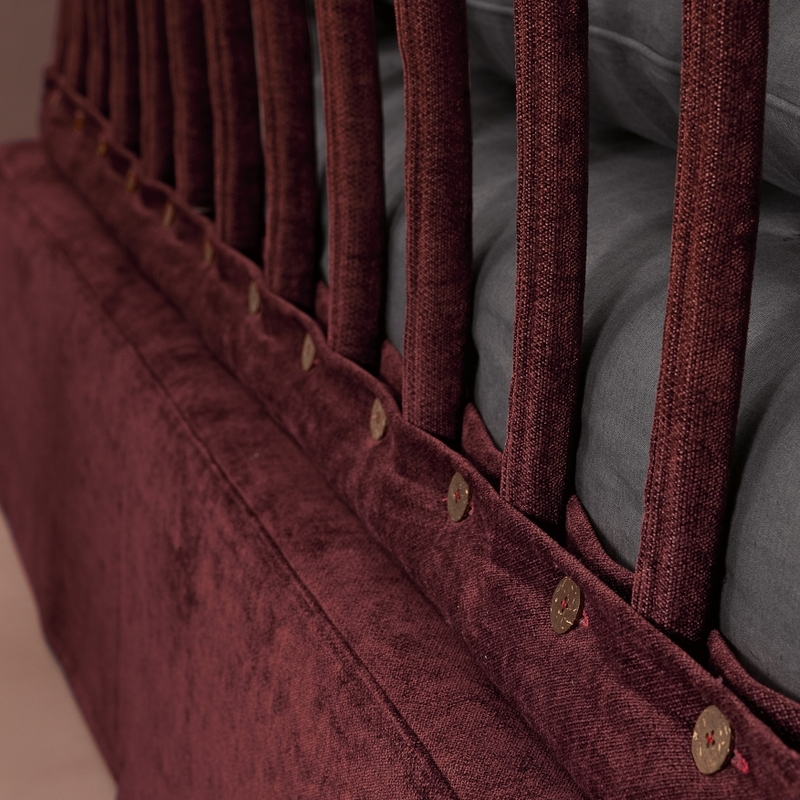 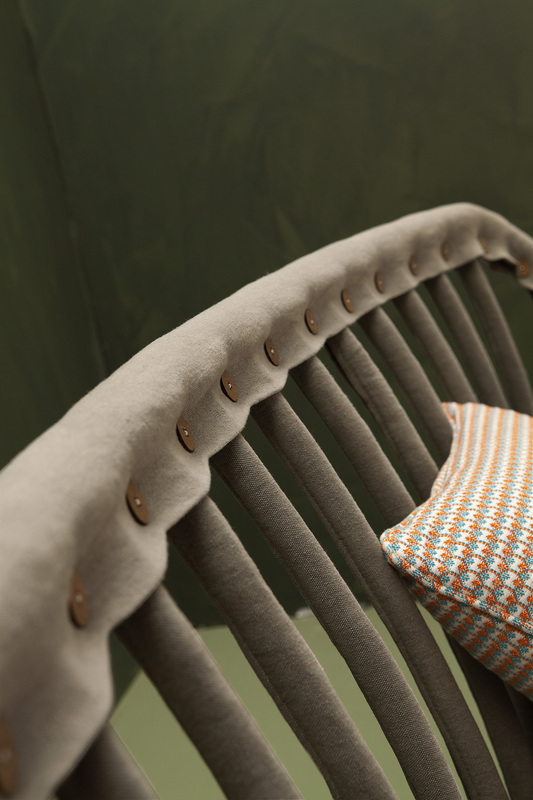 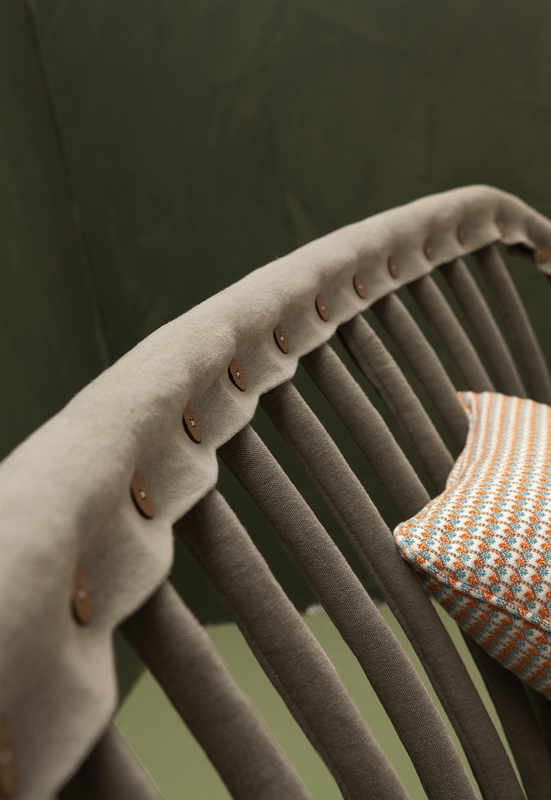 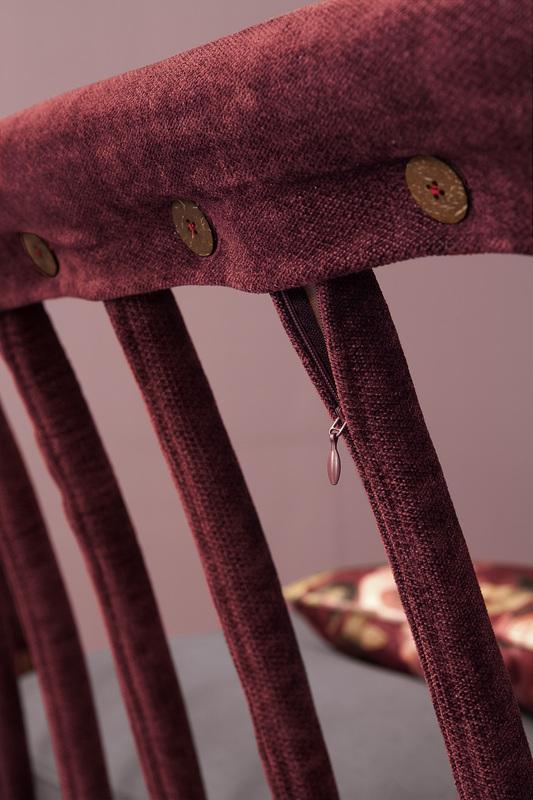 These are softened and smoothed thanks to the upholstery in fabric. 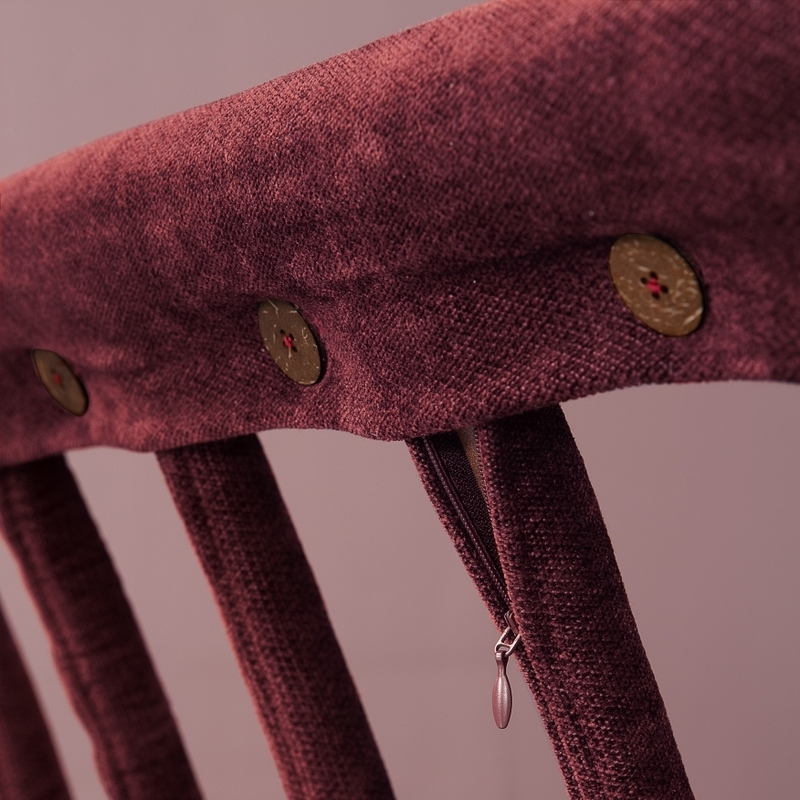 The framework is all upholstered and fixed with the buttons.